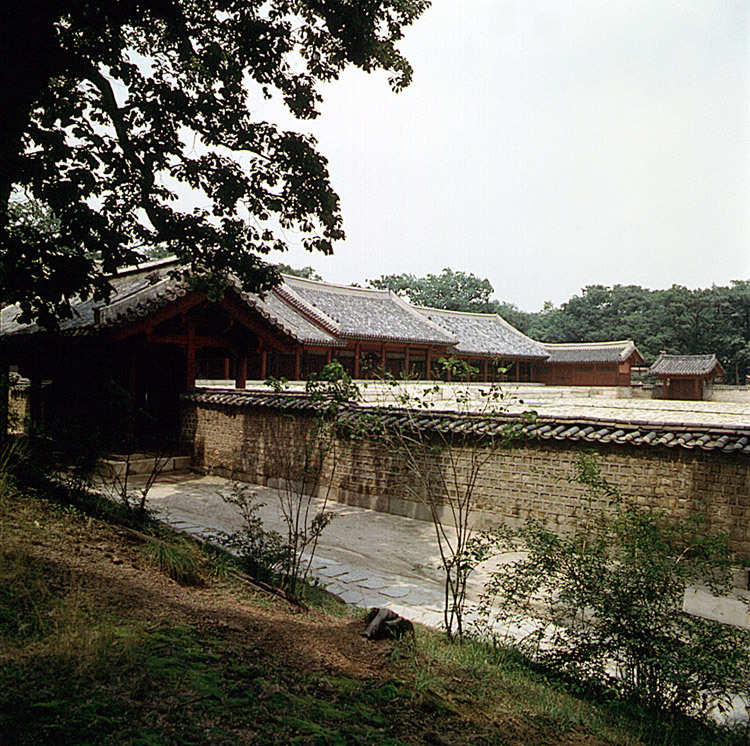 Jongmyo was the place where spirit tablets of deceased kings, queens, and meritorious subjects of the Joseon Dynasty were enshrined and memorial rites were performed. 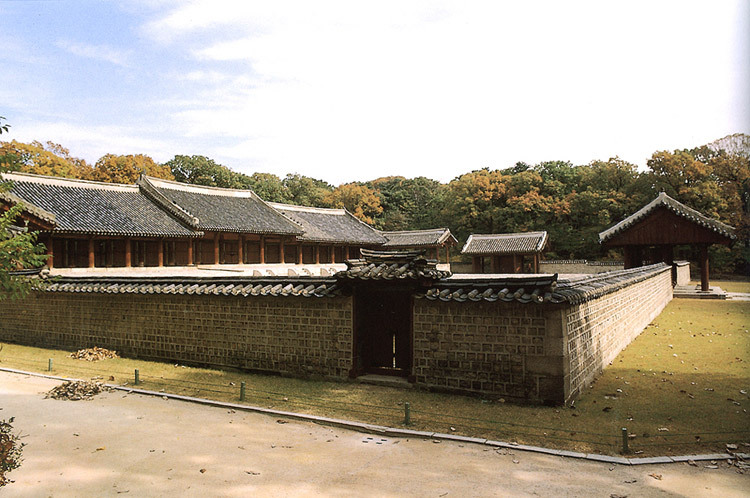 Yeongnyeongjeon Hall was built in the third year of the reign of King Sejong the Great (1421) to the northwest of the main shrine Jeongjeon, to enshrine all of the tablets that could not be housed in the main shrine. 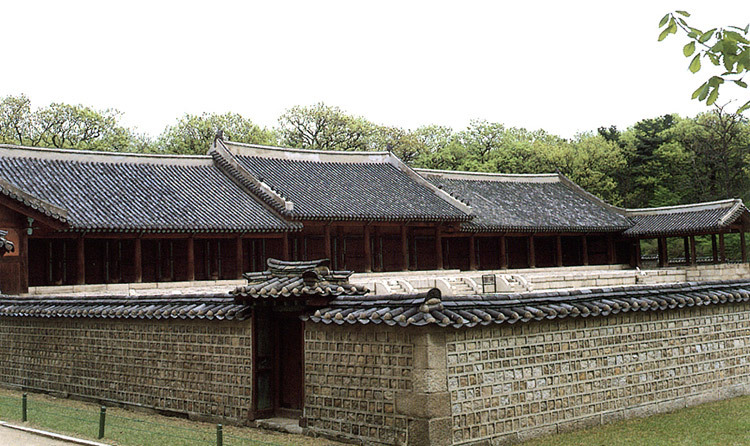 Yeongnyeongjeon Hall has 16 cubicles, each of which enshrines spirit tablets of one king and his queen. 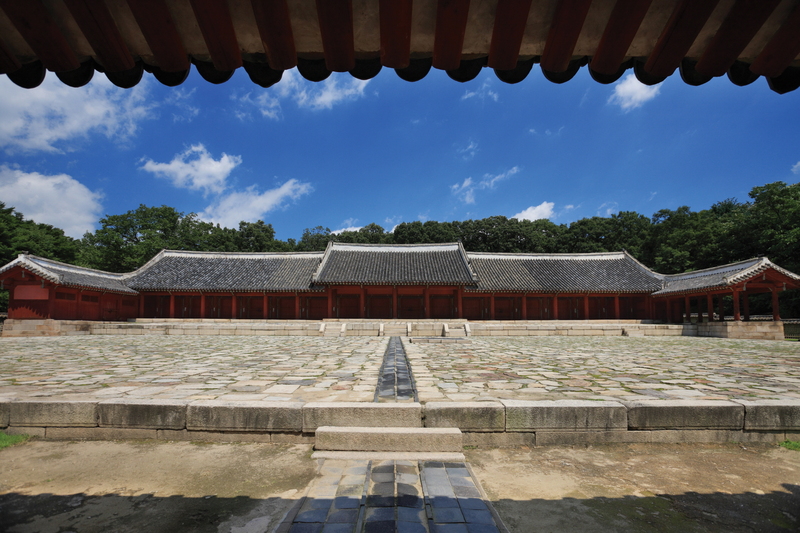 Four cubicles in the center, built higher than the other cubicles, enshrine spirit tablets for the great-great-grand parents of King Taejo, founder of the Joseon Dynasty. 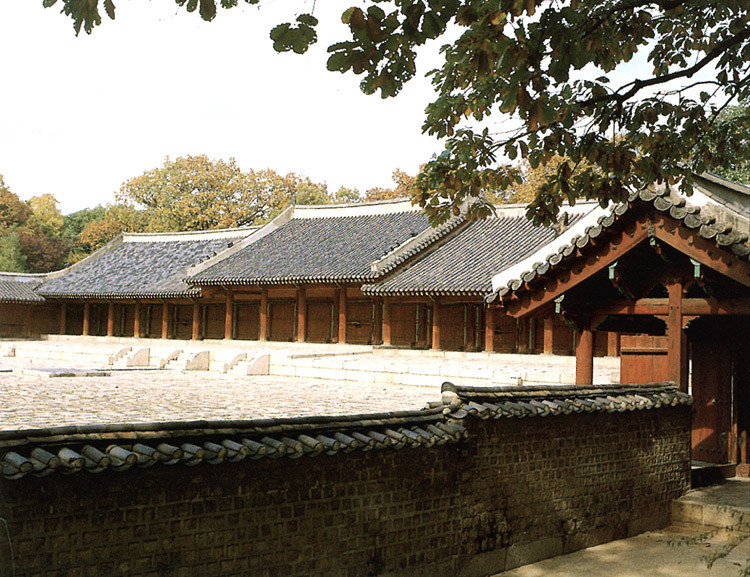 Each of the other cubicles, from west to east, enshrines respectively the tablets of King Jeongjong and his queen, King Munjong and his queen, King Danjong and his queen, King Deokjong and his queen, King Yejong and his queen, King Injong and his queen, King Myeongjong and his queen, King Wonjong and his queen, King Gyeongjong and his queen, King Jinjong and his queen, King Jangjo and his queen, and Crown Prince Uimin (King Yeongchin) and his princess. Simple but grand and imposing in structure, ornament and color, this building well reflects the architectural style of the mid-seventeenth century. Some of the building's doors are made of planks over which bamboo blinds are hung over in accordance with tradition. Cubicles are partitioned not by walls but by bamboo blinds. 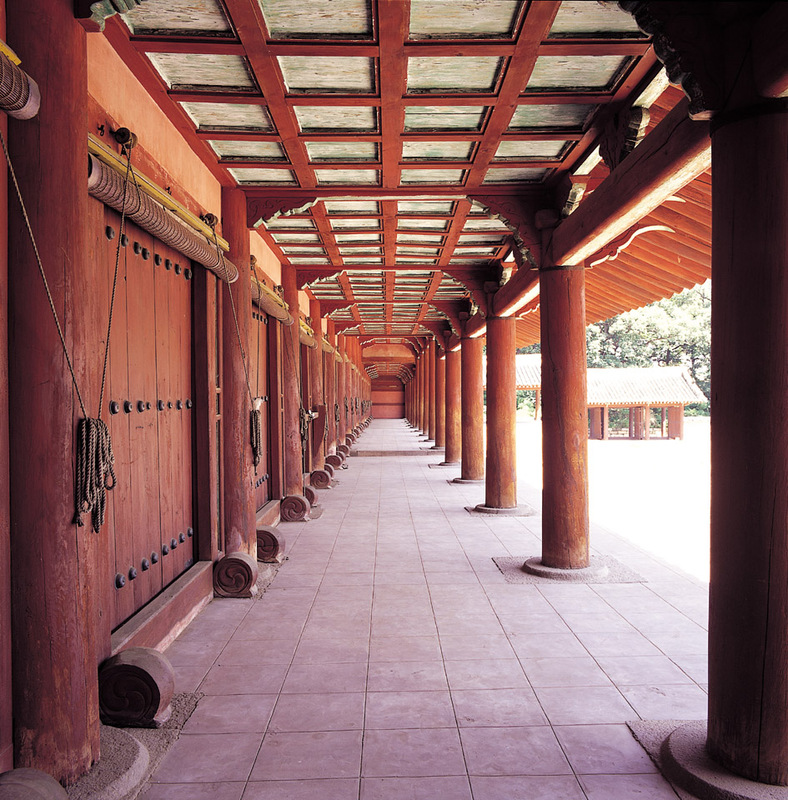 Yeongnyeongjeon Hall well retains the traditional form and style of the royal shrine of the Joseon Dynasty.